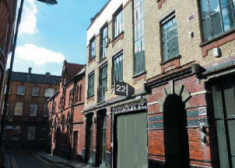 The property provides an occupier with a flexible and contemporary office environment. 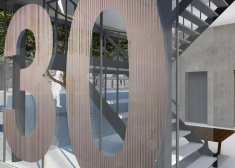 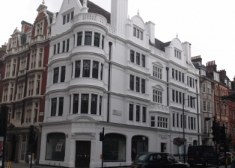 25,000 sq ft of characterful yet contemporary Grade A office space in the heart of the West End. 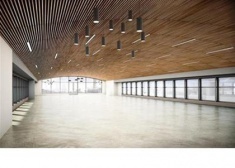 Design to fit your requirements, each floor is fully customizable. 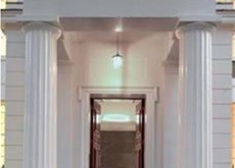 The building was completely refurbished in 2010 to provide high quality open plan floor plates accessed via a contemporary manned reception hall. 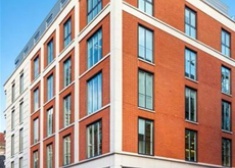 The 5th floor benefits from a high quality financial fitout. 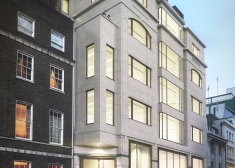 23 KINGSWAY has recently undergone an extensive refurbishment to provide 5,946 sq ft of Grade A office accommodation. 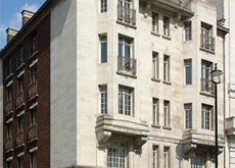 The available suite is situated on the part first floor (front) in the south east corner. 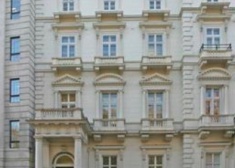 The suite is therefore available for immediate occupation. 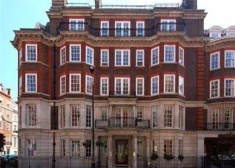 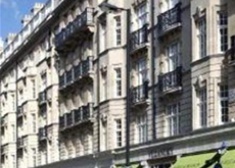 Office to let in Belgravia. 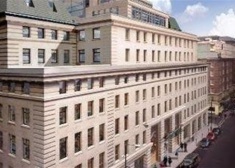 11 Berkeley Street is a multi-tenanted building arranged over lower ground to 7th floors. 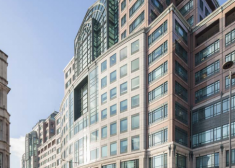 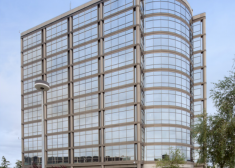 1 Berkeley Street is a multi-tenanted building arranged over lower ground to 7th floors. 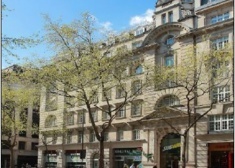 The property is currently undergoing a complete refurbishment and will be ready in April 2016 to provide 43,000 sq ft arranged over first (27,000 sq ft) and mezzanine (16,000 sq ft). 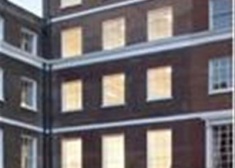 The building has been completely transformed from top to bottom, inside and out. 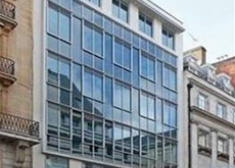 Offices to let in Fitzrovia. 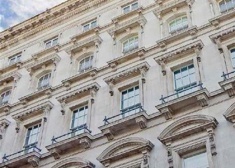 12 Manchester Square offers the perfect mix of modern amenities and specification, whilst maintaining its period charm in the heart of W1. 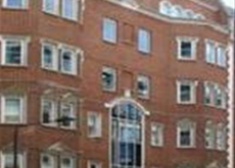 The property provides efficient and contemporary office space. 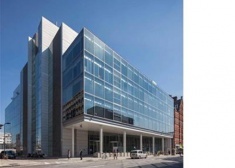 The property offers stunning open plan office space with excellent natural light. 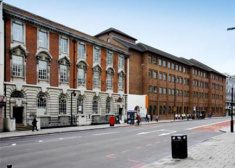 Office to let in Camden Town. 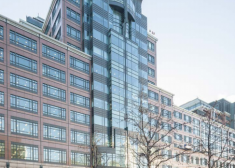 Accessed via a large impressive entrance hall, the 8th floor has been fitted out to the highest of standards and measures 11,060 sq ft.
West World is an attractive landmark office tower providing a total of 86,000 sq ft on ground and nine upper floors. 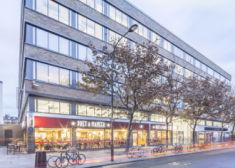 Prospero House comprises two interconnecting office properties with a large frontage to Borough High Street. 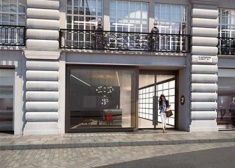 The reception has been designed to include a bespoke veneered desk, feature wall and limestone flooring. 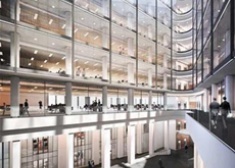 The 2nd floor provides a small number of meeting rooms but is predominantly open plan. 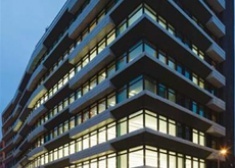 The building provides a flexible and efficient working environment attracting suitable financial and corporate occupiers. 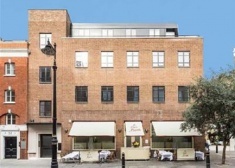 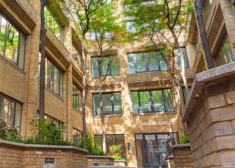 40 Bernard Street is conveniently located opposite Russell Square underground station (Piccadilly Line) with Euston and King’s Cross stations a short walk away. 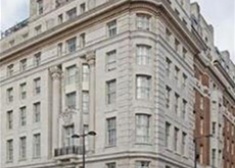 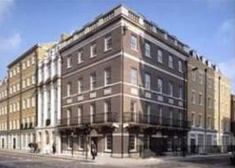 The available office comprises the entire first floor with views out over Wigmore Street and Wimpole Street. 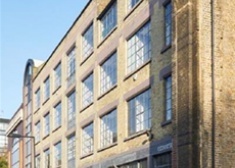 22 Stukeley Street is an impressive former warehouse providing creative open plan office accommodation. 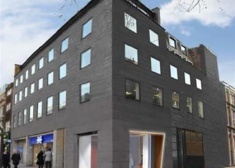 Offices to let in Soho. 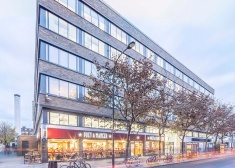 With Oxford Circus underground station being within a four minute walk, 61 Conduit Street has excellent connections across London, with direct access to the major rail terminals. 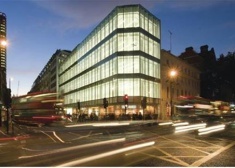 Connections will be further enhanced by the opening of Crossrail in 2018. 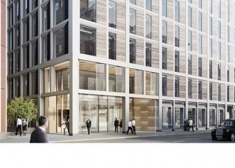 Developed by Exemplar and Aviva Investors, 1 Fitzroy Place is a brand new landmark building which has just been completed offering some of the finest office space available in London. 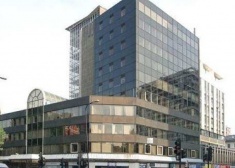 Klaudine House is situated on the North side of the A4 dual carriageway at the gateway to Hammersmith. 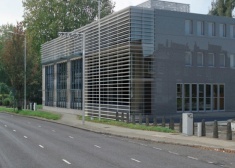 Vehicular access to the site from the A4 is via Rivercourt road to King Street. 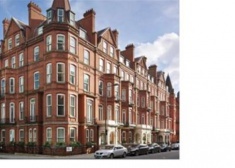 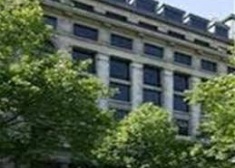 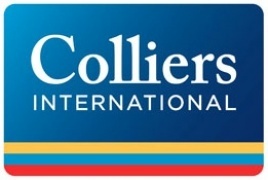 The property is located on the corner of Old Marylebone Road and Edgware Road.